It’s hard to believe January is coming to an end and with it, our deadline to set some 2019 resolutions. Justin Connor, a long time UNRWA USA supporter, is a few steps ahead when it comes to identifying what ‘sparks joy’ for him. 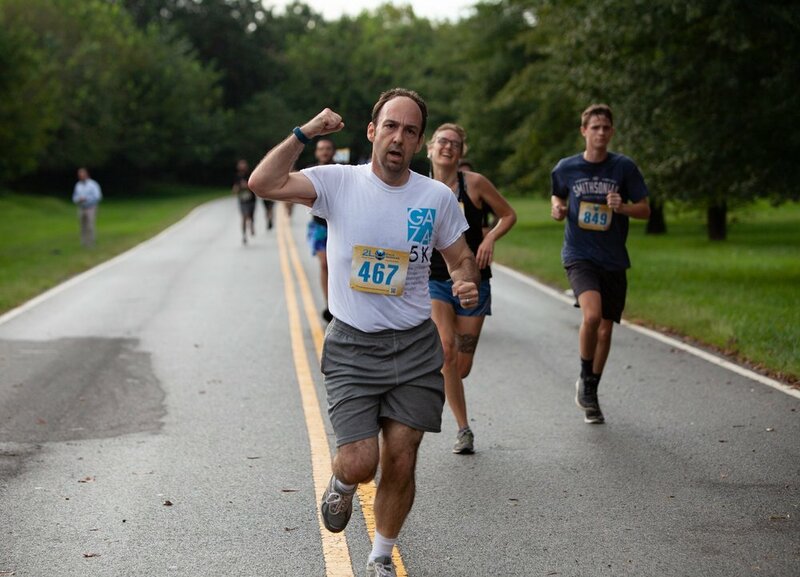 Last year, Justin incorporated participating in the DC Gaza 5K as part of his resolution to be more active and healthier in 2018, and is committed to doing it again in 2019. Justin has cared about issues facing Palestine refugees since he was a teenager. At 19, while he was a sophomore at Earlham College, he participated in a foreign study program in Jerusalem, spending some time in Israel, the West Bank, and the Gaza Strip. He says that it was at this point, in the summer of 1991, his long standing concerns surrounding peace and social justice for Palestinians came to life. During his study abroad, he had a ten day break where he was free to do whatever he wished. He and a friend reached out to Save the Children in Gaza and did a ten day internship. In traveling through the Gaza Strip, he got a sense of the people and challenges there. “I got a sense of the culture -- the joy, maqluba, coffee, and weddings,” Justin says enthusiastically. Beyond a sense of physical achievement, Justin says “the Gaza 5K brings back a little bit of that summer and reminds me of the sense of community and family that I experienced in Gaza.” He notes that he has a red keffiyeh from his time in Gaza which he has taken with him every place he has lived. The keffiyeh. The Gaza 5K. They are all reminders to Justin of his global citizenship and the connections that unite all people. Two years later, crossing the line fitter and stronger! If you’re feeling inspired by Justin’s commitment to Palestine refugees, their mental health, and his physical fitness goals, you can follow his lead by registering for the NYC Gaza 5K on March 30. Look out for tickets for the DC Gaza 5K available later in the year. Whether you choose to focus on a fundraising goal or a fitness goal (or both! ), we look forward to seeing you move for mental health with us at a Gaza 5K this year!